From frozen bake in a pre-heated 350ºF convection oven for 6-8 minutes or until internal temperature reaches 165ºF as measured by use of a thermometer. 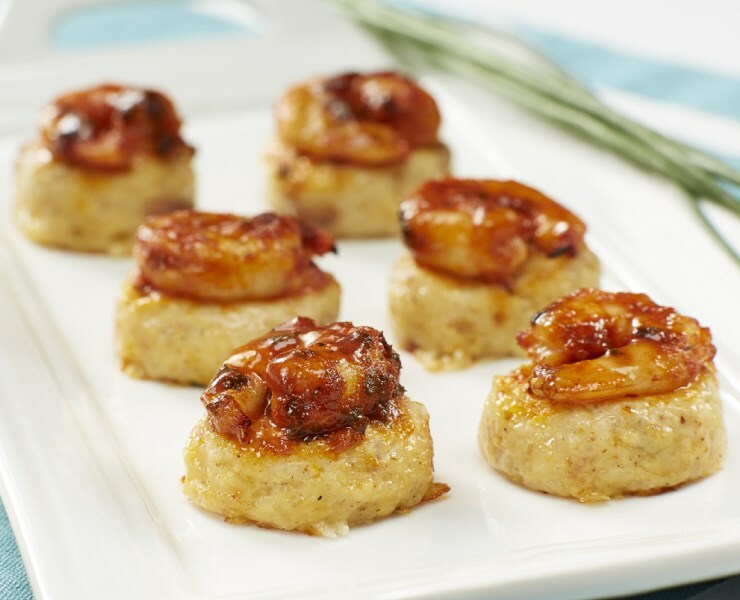 Kabobs’ K7336 BBQ Shrimp & Grits provides an elegant, yet simplistic display to a Southeastern Coastal favorite. Combining the smoky flavors of hardwood bacon and sweet molasses, our culinary team marinates a whole shrimp, then pairs it with a rich and creamy blend of stone-ground grits, accented with Tasso Ham, fresh hand-cut green onions, aged white cheddar cheese, and a splash of sherry. Perfect as-is, these delectable bite-size jewels provide just the right amount of Southern classic charm to any dining event. Perfect as-is, no sauce accompaniment required.